Many SEO companies are quick to preach the benefits of SEO, promising Google stardom and an everlasting flow of visitors for any and every website. But at Seperia, over 10 years of experience delivering SEO marketing to a wide range of websites has taught us otherwise. The competition and saturation in nearly all online categories of commercial value. 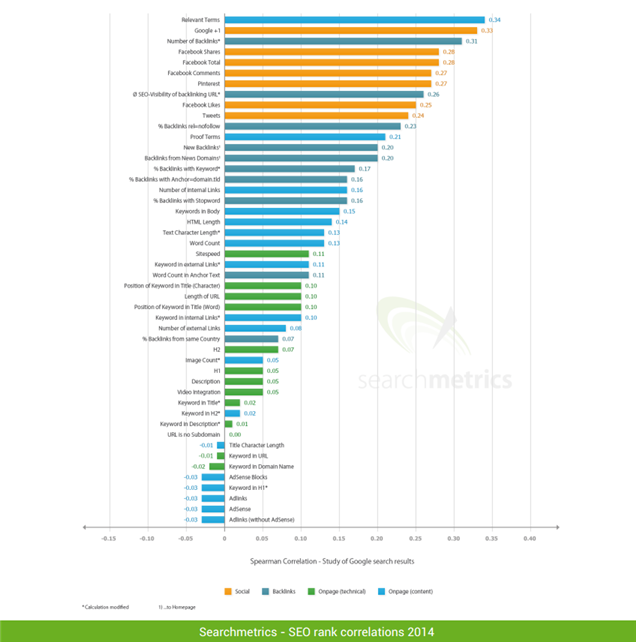 The fundamental shifts in Google algorithms, mainly Caffeine, Panda and Penguin. Is your website producing a lot of original content? Valuable content? Are you an e-commerce website? Does your website welcome a substantial amount of daily visitors? Is your website technologically complex? Is your website well- established/ developed, with a footprint on the web? In today’s digital arena, basic, old fashioned SEO tactics are not enough to successfully optimize your website for users and rank highly on Google’s first results page. Strategies, tools and techniques are constantly being developed and refreshed. As such, your site will require a thorough and multi-faceted SEO strategy, in order to truly enjoy the following benefits of good SEO marketing. SEO enables your website to harvest the demand for your brand created by your marketing campaigns (both online and offline) as well as other channels. Following a thorough analysis, keywords and content can be optimized to better connect the traffic that is already searching for your product/service with your website. That is, SEO captures the demand and delivers more qualified traffic directly to your website. Further to this, demand for your product or service offering may have actually been generated as a result of your competitors’ marketing activities. In this case, with the right keyword targeting, your search engine listings can also capture this demand and deliver additional traffic to your brand’s site. Building brand awareness can be a costly, complex task. But it doesn’t have to be so difficult, as SEO can accelerate your branding campaign by increasing your rankings in the one place 70% of users turn to for answers, Google. From the outset, successful SEO implementation can have your website ranking well on Google, leading to a significantly higher impression rate and thus increased exposure and better recognition of your brand. But deeper than this, lies thorough on-page SEO strategy, that ensures your site delivers relevant and useful information to those looking for it. And users who have engaged positively with your site- and thus your brand- will indirectly enhance your brand awareness, be it through word of mouth, social media or other information sharing channels. Why do the majority of search engine users turn to Google to run a search query? Because they trust that Google’s SERPs will display the most relevant and credible results. So when your site is ranked highly by Google, users tend to trust more in your site and thus your brand. But in today’s competitive online environment, it doesn’t end there. Long term trust and credibility will only be fostered if your site lives up to the promise it makes in the search snippets. SEO has been proven to be one of the most cost effective forms of online marketing. Delivering more qualified traffic with higher conversion rates, SEO provides businesses with a higher ROI in the long term. When done right, SEO will draw thousands, if not hundreds of thousands of targeted users to your site, depending on your audience size. No matter how much traffic your site attracts, the amount you invest in SEO will not fluctuate according to the number of clicks to your site or the number of conversions. 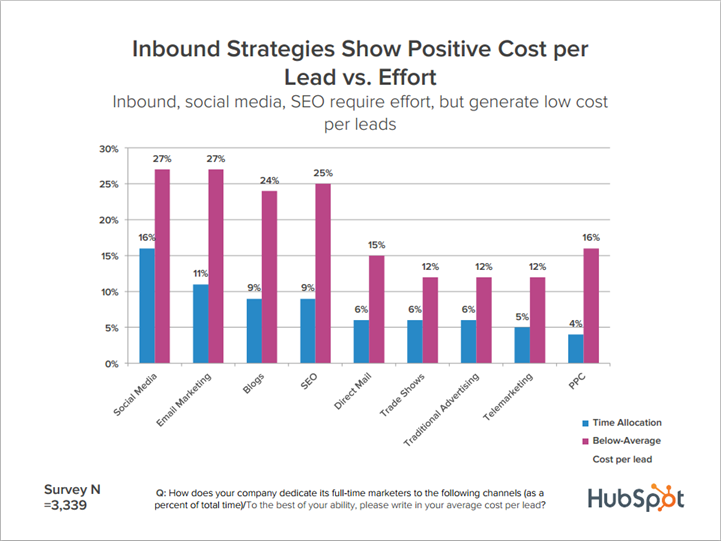 Furthermore, inbound strategies such as SEO often deliver more cost effective results, as you are essentially targeting users who are already actively searching for your products or services, not to mention that their strategies are cheaper to implement than those belonging to outbound marketing initiatives. SEO is not a cost to your business, but rather an investment with a high return. Once you invest in finetuning your website, the results do not disappear. Meta descriptions, page hierarchies, content building etc. are all elements that once optimized, can cement long term results for your site, both amongst users and search engines. And when your SEO is performed accordingly, your rankings will improve. If you reach and maintain one of the coveted first three rankings on Google’s SERP- well, you will be enjoying the returns on your investment for years to come. Whilst SEO can also deliver short term results, its long term results are what make the investment so worthwhile. When performed strategically, SEO analysis and implementation can ensure your website ranks highly on Google in the long run, without having to maintain a great dollar investment. Unlike short term, push centric marketing strategies, SEO activities drive ongoing ROI over the long term, even after you halt the financial investment. It is important to remember that some site upkeep such as refreshing keywords and updating content will need to be performed in order to remain up to date for users and maintain top SERP ranking positions. With more people turning to the internet to perform search queries than any other port of information, there is a high chance that your website is the first point of contact a customer will have with your business. SEO plays a crucial role in not only having your website discovered by users, but also engaging them with your brand and preparing them to convert. That is why SEO today is not only focused on optimizing your site for search engines, but for visitors as well. Common SEO elements such as navigation, enhanced site speed and content creation, all play an important role in the user’s experience, which will determine how engaged they will become with the brand. When implementation of both on-page and off-page strategies is done correctly, organic users who arrive at your site will find exactly what they are after, making it more likely to turn these visitors into leads, conversions and finally, revenue for your business. Think of your website as your 24/7 salesperson, welcoming thousands of potential clients no matter where they are or what time they visit your site. When your site has been optimized, it will rank higher on Google, gaining impressions every hour of every day. Your website will also provide visitors with the answers they seek, as well as guide prospects to convert, whether or not your sales team is online. Does your brand have a Facebook page, a Twitter account or Google + profile? Are you sharing your website’s articles on LinkedIn? In these cases, SEO elements such as title tags and meta descriptions play an important role, as they are often used by social networks when your articles and posts are shared. Social Media also plays an important role in how your site is indexed. The following graph displays just how big an impact your social media activity can have on your Google rankings. It is clear the more activity your site and posts enjoy on social media, the more favorable your site’s ranking on Google will be. SEO certainly is one of the stronger suitors when it comes to lead generation and increasing conversions. However, it is never safe to put all of your eggs in the one basket by relying solely on SEO to achieve your marketing goals. Clever SEO works alongside other elements of your marketing strategy, such as social media, branding, public relations and other digital marketing initiatives. Integrate SEO seamlessly into your marketing mix and you will continue to reap the benefits for many years to come.